Mr. Donathen has practiced in the area of workplace law and litigation for over 30 years. 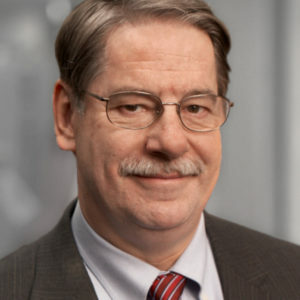 Mr. Donathen handles federal and state discrimination lawsuits and agency charges under Title VII, ADA, ADEA, FMLA and the N.Y. Human Rights Law, and investigates and litigates employee disloyalty matters, including covenants not to compete, trade secrets, confidential information and theft of product. In addition to defending civil and criminal Attorney General and other investigations, Mr. Donathen also represents employers in union elections, labor arbitrations, LMRA litigation, and NLRB and PERB proceedings. He defends OSHA workplace accident and other health and safety citations, and fends off wage and hour and employee misclassification claims and lawsuits under the FLSA. Mr. Donathen handles the defense of whistleblower claims under SOX, OSHA, and other federal and state laws. He provides preventative advice, training and practical business solutions in all of these areas. Mr. Donathen is a member of the firm’s Crisis Response & Management Team. His experiences include providing proactive responses to threatened employment and business claims and litigation, countering adverse press releases by private parties and governmental agencies (including OSHA and the EEOC), and client management of media contacts and releases. Mr. Donathen has been honored in The Best Lawyers in America© and selected for inclusion in Upstate New York Super Lawyers. A graduate of Notre Dame and its law school, he has been with the firm since 1990. Previously, he served as confidential law clerk to Hon. John T. Elvin, U.S.D.J. for the Western District of New York and as counsel in the NLRB’s Division of Enforcement (in both the Appellate and Contempt Sections).